Global Gold : So what about the right to secession? Do you support it? Should, for example, a Swiss Canton have the right to secede peacefully from Switzerland? to have autonomy like in the case of the United Kingdom now with Scotland, then yes, they should have the right to do so. And obviously it would have to be a right that is exercised by the majority of the people in that jurisdiction. It doesn’t mean that if Scotland secedes from the “Empire” that they would become enemies. I support secession, because I believe the individual’s freedom is better protected in a small society rather than in a large one. Global Gold : I fully agree with you. The conference I attended was organized by the European Center of Austrian Economics Foundation and was propagating the importance of the individual in economic decision-making versus central planning. You often quote Hayek and Mises. So, we would like to know how your Austrian thinking impacts how you look at the world. 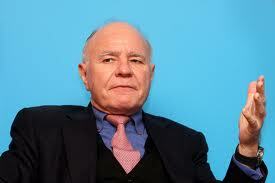 Marc Faber : Basically, over the last, I would say, 100 years, the Keynesians and the Neo-Keynesians thereafter propagated their view that the larger the government and the more the interventions the better a society becomes. They have managed to discredit the Austrian School of Economics. As a result, society in general has turned into an entitlement society where we have an insurance policy for everything and the government is expected to pay the bills. And so, the freedom of the individual is undermined. But with freedom comes responsibility, personal responsibility. This has been pushed aside and people don’t realize that they can’t be free if they don’t take on responsibility. Adam Smith said the government should be in charge of a well-structured legal system, low taxes and defense and nothing else! Instead, we have more and more socialism and state planning, which diminishes people’s freedom. I believe we need to have a huge change in society to make people understand that if you want to have freedom you also have to take on personal responsibility. Global Gold :Let’s talk about the ongoing power shift from the West to the East. was the rise of China with 1.3 billion people. Because of China’s rapid growth and resource dependence (iron ore, copper from Australia, Brazil and Africa, and oil principally from the Middle East), the Chinese have obviously become a very important economic force. Take Africa twelve years ago: trade between Africa and the US was twice the size of trade between Africa and China. But today, the situation is reversed. economic relations. This helped shift alliances from the US to the East, which has led to tensions. China has many provinces that are larger than a European country and as an economic block, China is huge! It dwarfs everything else in Asia. But now China is surrounded by military bases in Asia, by American aircraft carriers and by the signed defense treaties between the US and Japan. Moreover, the Chinese never forgot that Japan had attacked them numerous times over the past 200 years. Additional disputes between China and its surrounding countries, Vietnam, the Philippines, Taiwan, and especially Japan about maritime rights will cause further tension in the region.